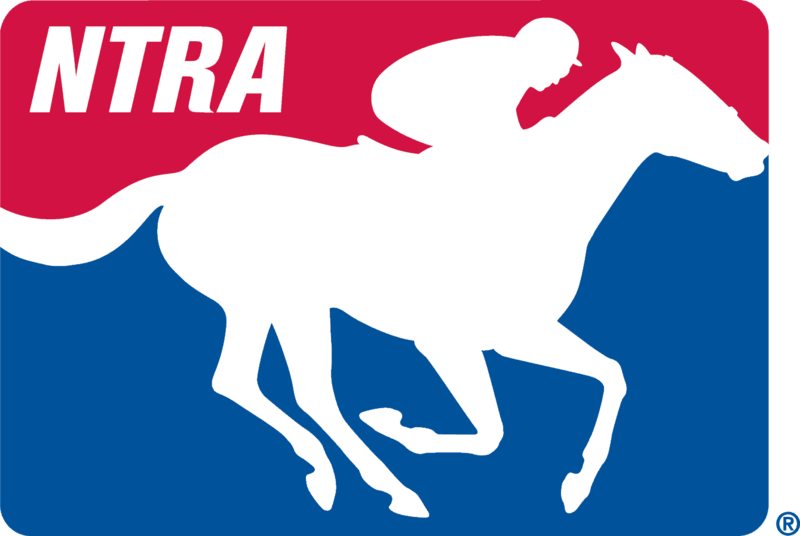 Good day, ladies and gentlemen, and welcome to the NTRA Road to the Triple Crown Conference Call. At this time, all participants are in a listen-only mode. Following the presentation, we will conduct a question-and-answer session. At that time, participants are asked to press star one to register for a question. As a reminder, this conference is being recorded. And it is now my pleasure to introduce your host, Ms Alicia Hughes. Go ahead, Ms Hughes. Thank you, Operator. And welcome everyone to this first NTRA teleconference of the season on this year’s Road to the Triple Crown. This week, we’ve got three scheduled guests to catch up with in advance of Saturday’s Louisiana Derby, which will offer 100 qualifying points to the winner towards this year’s Kentucky Derby. The Louisiana Derby headlines a blockbuster card at Fair Grounds featuring four graded stakes, including the Fair Grounds Oaks, which is a 100-point qualifier for this year’s Kentucky Oak. One man who figures to have his hands full this week, and hopefully in a good way, is trainer Tom Amoss. Amoss trains the likely Fair Grounds Oaks favorite, Serengeti Empress, and also has Roiland entered for the Louisiana Derby. Serengeti Empress was visually impressive in winning the Rachel Alexandra Stakes in gate-to-wire fashion at Fair Grounds in her seasonal bow on 16th February, while Roiland closed from last to finish third in the Risen Star Stakes that same day. Tom, thank you so much for joining us this afternoon. Thank you, it’s my honor. So I’ll start off with Serengeti Empress, she’s a filly, obviously, that shows just a ton of brilliance as a two‑year-old, especially when she won the Pocahontas Stakes last September. What, if anything, specifically, did you work on with her kind of following her Breeders’ Cup run to get her ready for that first start of the year in the Rachel Alexandra Stakes? Well part of what we did was letting Mother Nature do her thing. So we gave her a little bit of time off after the Breeders’ Cup Juvenile Fillies race, and she went to GoldMark Farm in Ocala and got to enjoy a little sunshine and, you know, paddock grass, and that was always the plan no matter how she was to run in the Breeders’ Cup. And the plan was again also to have her back for the Rachel Alexandra, that was going to be our top race for her, which we were aiming[?] to be successful in, with the gold being not only the Fair Grounds Oaks, which comes up on Saturday, but hopefully a start in the Kentucky Oaks. Definitely. You said you’re pretty loaded for this week, and have Roiland as well. Pace is, obviously, key for him with his running style in, you know, we have largely the same group of horses coming back from the Risen Star. What have you seen from him just in a training since that start that kind of gives you confidence that he can, you know, improve himself this weekend? Well, let me start by saying that, you know, the Risen Star ended up being a hotly contested pace race, and our hope was that the Louisiana Derby would come up on paper and then unfold in the same fashion. I’m not so sure I see that for the Louisiana Derby. That’s disappointing. But the equalizing factor may well be that we’re going an extra 1/16th of a mile, the race is a mile and an 1/8th on Saturday, whereas, the Risen Star was a mile and a 1/16th. And for anyone that watched that race, to talk about Roiland would be difficult because he was never, even on the TV screen, from the 5/8th pole, all the way until about the 16th pole. But a couple of things are clear. Number one, you know, he didn’t show very much speed out the gate and got himself in such a distant position that it’s difficult to see him winning as they were going down the back side. Just to make a quick note, the daily racing form chart that appears for the race on Saturday is incorrect. At one point, they’re showing 18 lengths off the lead, and then the next call they’re showing 6 lengths off the lead. I think they’re missing a 1 there, because he was never within 6 lengths of the lead in the middle of the race. But getting back to the race itself, you know, the most positive thing about it was where he came from in the last 3/8th of a mile, how quickly he ran to get to that position of third, and the fact that he was running best of all in the end. Those things are encouraging. Our hope is, of course, that the pace is quick upfront. He would – that would enhance his late finish. Sounds good. Good stuff as always from you, Tom. Great insight. It looks like we’ve got a number of participants. So, Operator, I’ll throw it back to you. We can go ahead and open it up for – and see if anyone has any questions. Perfect, thank you so much. Again, if you would like to ask a question, please signal by pressing star one on your telephone keypad. If you are using a speakerphone, please make sure your mute function is turned off to allow your signal to reach our equipment. Again, press star one to ask a question. And we’ll pause for just a moment to allow everyone an opportunity to signal for questions. Okay. And we will take our first question from Tim Wilkin of Albany Times Union. Please go ahead. Tim, how are you doing? You’ve seen War of Will down there, a winner I suppose, and what are your thoughts of him? I think he is not only the horse to beat on Saturday, I think he is the horse to beat the first Saturday of May if he continues the way he’s going. He’s got a quality that is so important which is tactful speed, and he’s displayed it in different ways down here. You know, when he drew the 14th post position and had to be used out of the starting gate in his prep, and was able to still show finish on the end, that was a signal to me that this horse is a very, very good horse. Because you’re using energy out of the gate to obviously get into position, and to still have that much energy at the end of the race, I thought that was a real welcome-the-party call. You know, he’s the guy. And he’s the man this weekend in a race that doesn’t have a lot of speed. He’ll be tactically close. I wouldn’t be surprised if he decided to take over early. But his race is, I think, will make it formidable for everyone else. Is he on the top of your list? Would he be on the top of your list for all the derby horses right now? Yeah. You know, I was at Oklahoma this weekend. I worked the Fox Show for the Rebel, so I got to watch Bob Bathurst’s horse run, both of them run. I thought they were impressive, but I don’t think they showed the same thing at age three that Will has shown. Great, Tom. Thank you. Good luck. Excellent. As a reminder, ladies and gentlemen, if you would like to ask a question at this time, please press star one. And we will go ahead with our next question from Danny Brewer of horseracingscoop.com. Please go ahead. Tom, when we talked before about the Empress, you said that she’s a better, bigger, stronger version now than she was at two. Have you continued to see that growth, not only physically but mentally as well since the Rachel? Mentally, she’s always been a horse that’s easy to work with. So, she’s always had what she needs mentally. Physically, when I say she’s a stronger version of herself, she’s more developed – her hind end as well as her shoulder, they’ve got a bigger, stronger look to them. And the comment made leaving the paddock as well as after the race by a number of rail birds down here, and believe me they know their horse racing here at Fair Grounds, was that, you know, one look at her and you are like she’s going to be the winner of this race. She does have that look – she’s an impressive-looking filly. Whenever – you know, when we calculate all this up, is she one of the reasons why you get up at 03.00 am in the morning to go to the barn? I mean, horses like this – to have horses like this – is this why you do it every day, man? You know what? I love working with animals, and I love working with thoroughbreds in particular. And does it make it easier to get up? Yes. But being blessed to have the opportunity just to work with thoroughbreds is why I get up in the mornings. Man, I certainly do wish you the best of luck. It looks like you’ve got a special one on your hands here. And we have no further questions at this time. I’d like to pass it back over to Ms Hughes. Thank you so much. Tom. Just before we – before you go, ask you just a couple of other questions. With Roiland when he won at Churchill in late October, I see that he did kind of – he was able to sit a little bit more in the mid pack there instead of being so far back as he has been recently. Would you look for him to maybe sit a little bit closer this Saturday – it looks like there’s not going to be too much feet in there? So, that’s a great question. It’s something we’ve been looking at quite a bit. You know, horses develop their style over time. And Roiland’s style has been more of a come-from-behind style this year than last year. I mean, last year this is a horse that broke his maiden going 5/8th of a mile. You know, he’s not that same horse any more. He’s bigger, he’s got more scope to him, and that quickness that he could give us or let’s say quickness enough to win sprinting that he could give as a two-year-old, through his size and development has changed. If you look over the field in the Louisiana Derby, you’ll see he’s not alone in that regard – you’ll see there are others. The one that comes to mind is Limonite, who was another horse that, you know, was very tactical sprinting but now has become a horse that’s deep closer too. And that’s what happens over time with horses particularly as they grow and they change. So, yes, we want to be up closer than where we were. We were – you know, we were in a different zip code in the first half a mile of the Risen Star. And in doing so, we’re going to employ some different tactics; some gate mechanics that might make him leave the gate a little bit better; riding him away from the gate to the extent that we can keep him with the field at some point. You never want to change a horse’s style, but in the case of Roiland, I believe he can be closer and still run the same style race. Perfect. Tom. Again, it is always a pleasure to have the opportunity to talk to you, and pick your brain and get your insight on these horses. Again, thank you so much for joining us on the call. This weekend continue to – best of luck with everything. Here’s hoping for a great weekend for you. Mark is connected. Maybe he is muted? Hey Mark, how’s it going? First and foremost, thank you for coming on and joining us this afternoon. I know that War of Will, he is a horse you’ve been [inaudible] for, you know, a long time now. And you’ve always talked about how good horses are able to win maybe when everything doesn’t go perfectly. In the Risen Star he has – the 13th post, he basically turned it into a non-issue from there. Just talk a little bit about – and he seems to be just a very easy horse to handle in terms of where a jockey can place him wherever is needed. Is that a pretty safe assessment? It is. You know, he has natural speed. But he’s an extremely smart horse. So, I think you can kind of do about anything you want with him. And I know, you know, this is a horse that your brother, Justin, picked. You know, he picked him out at the sale. How much does having, you know, that emotional tie kind of add to the enjoyment of what War of Will has been able to kind of achieve so far? Well, you know, it’s always nice to have success and have a horse like War of Will. But it even means more when it’s been an entire – you know, it’s been a family affair. Obviously, we wouldn’t have him if it wasn’t for my brother Justin. Mark, like I said, it looks like we’ve got a number of participants. Again, we’ll throw it back and see if anybody has any questions for you. Perfect. Once again, ladies and gentlemen, if you have a question, please press star one on your telephone keypad. Again, if you are using a speakerphone, please make sure your mute function is turned off to allow your signal to reach our equipment. Again, press star one to ask a question. And we’ll pause for just a moment to allow everyone an opportunity to signal for questions. And we will go ahead with our first question from Art Wilson of Southern California News Group. Please go ahead. Yeah, Mark, you ran War of Will three stakes races before he had even broken his maiden. Does that kind of underscore the confidence you had in this colt before he won a race? Absolutely. You know, we always felt like he was special. You know, we are fortunate to have a lot of good, young horses. And we kind of felt like he was at the top of the class. Now what was the decision behind – his first four races were, of course, on the grass, and then you broke his maiden on the dirt – what went behind the decision to try him on the dirt? Well, that’s a good question. So I had him a Saratoga, and he trained extremely well on the dirt. But I knew that – Saratoga’s tough because either you have to – you really need to come out running and really kind of get after your horse early if you want to have any shot in those type of dirt races. So that’s not really what I wanted to do with him. So I said to Gary Barber, look, I think this horse has a good shot to win the Summer Stakes. To do that I would love to get a race over the turf at Woodbine. It’s so important – Woodbine’s turf course is so different than everybody else’s. So I sent him up, he probably was about 80% when I ran him first time out. He disappointed me a little; I thought he would win, and win easy, but he didn’t. But after that, he started training extremely well, and we felt pretty confident going into the Summer Stakes. He ran well, he got beat by a nice horse of Chad’s. And then after that, it would’ve been a little hard to go to the dirt. I mean, here you have a horse who’s just second at grade one. So we opted to run in, I think, the Bourbon at Keeneland, and he ran a good race there. What happened there was I think he was on his way to winning and – I’m trying to think – the boy that rode him from California, it’s just slipping my mind right now – anyways, he had him left-handed, and when he did, he jumped to his left lead and he cost him some momentum. So I thought he probably should’ve won the Bourbon, if not, it would’ve been close. So now after such a good race in the Bourbon – we talked about it, Gary and I did, about even running him in the Juvenile on the dirt, but didn’t think that would make a lot of sense. So we ran him in the Breeders’ Cup turf, and he ran really well. A lot of people – he didn’t have a great trip. I think he ran something like 65 feet farther than the winner, 90 feet farther than the second horse, 60 feet farther than the third horse. So, he ran a good race. But after that, we thought, well, here we’re at Churchill Downs, we’ve been wanting to try him on the dirt, why not now. And we did. And the rest has been history. You know, he’s undefeated on the dirt. Luckily, looking back, it was a good thing he didn’t win the Breeders’ Cup turf. He wouldn’t be where he is today had he. One final quick question, you had another highly thought of derby contender two years ago with Classic Empire. Any similarities between these two horses? None whatsoever. I mean this horse has been an absolute joy. He does everything you ask him to do. Whenever you ask anybody that followed Classic Empire would know that, you know, Classic Empire gave us a lot of grief, and we had some trouble along the way. But I will say, as far as Classic Empire, him winning the Arkansas Derby was extremely special given all the curveballs he threw us. But, no, there’s really no similarity. The only similarity possibly would be in their ability. They both have a tremendous amount of ability. Okay. Great, thanks. Good luck Saturday, Mark. And if you find that your question has been answered, you can remove yourself from the queue by pressing star two. And we will go ahead with our next question from Tim Wilkin from Albany Times Union. Please go ahead. Hey Mark, Tom Amoss was just on, and he said that you’re not only the favorite on Saturday, but he thinks you’re the favorite on the first Saturday in May. What are your thoughts when you hear something like that? Nerves – nervous. No, I mean, I think, right now, honestly, Tim, it’s kind of our race right now – and when I say race, favoritism, right, for the derby. I think it’s ours right now to win or, you know, to win or lose. He’s going to come and give a big performance again, everybody’s going to be watching. And I think if he were to win on Saturday and do it impressive, it would be tough to not make him the favorite. What is it about him that gives him that class, that ability, that wowness that you see every day? – and show him to everybody, because we were so impressed with him at that point in time. But he truly – when you see him, you say wow. With his tactical speed is it just – I mean, you can’t teach that. Can you? No, you can’t. And it’s – and I’ve said this on a few occasions – if whether you’re looking at World Appeal, Cabin, Classic Empire, those kinds of horses, that’s what they have. It allows them to position themselves wherever they need to be. They don’t need – a lot of horses run and they need things to happen for them to be successful. And then there’s some horses that just do things to make themselves successful, and that’s where he lies. He can, you know, if nobody wants to lead on Saturday, he’ll be on the lead. If somebody really wants it, then he’ll be stalking right behind him. And that’s what makes him so good and so effective. Great. Thanks for your time, Mark. And we’ll take our next question from Dan Ralph of The Canadian Press. Please go ahead. Hey Dan, I haven’t heard from you in a while. All is good. Two questions, if I may. First of all, going into this race and going into the derby with a bullseye on your back, you prefer that or would you prefer having a horse coming under the radar? I think I’d just be the one to beat, that means you’ve accomplished a lot. And, you know, a lot of people always say you don’t want to be the favorite. I’ll take being the favorite every time because then you’re supposed to have a better shot at winning. Yeah. And the weight of expectation isn’t heavy? Sure, it is. But, you know, we’ve been down this road before, we can take it. Does it make me a little more nervous? Maybe a tad bit. And last, if I may, can you – I mean, you’ve got the top two winner-book horses in Federal Law and Skywire. Do we expect to see one or both up here complete this? Oh yeah, that’s the plan, both of them. Both. And I said that’s the plan. Both of them were disappointing to me the other day, but they came out of their races good, and still kind of figuring out which path I want to take with them. But we’re definitely – the Queen’s Plate is on our mind with both of those. Thank you very much. And good luck this weekend. And we will go ahead with our next question with Danny Brewer of horseracingscoop.com. Please go ahead. Good, man. So we know you like to travel. Why Louisiana and the Fair Grounds in these three races for War of Will? Well, I love New Orleans, I love the racetrack. You know, so much of – I’m a strategizer. And Gary Barber and I had this conversation, when War of Will, after he won at Churchill, he actually came to our training center in Ocana, and we talked about which direction we wanted to go. And we came really close last year winning the Kentucky Oaks with Wonder Gadot, and she had all her prepping in New Orleans, and we just think it’s a good place. I’ve got David Carroll there, who I have just the utmost respect. And he leads our charge down there. And he’s got a lot of experience – he’s got a lot of Triple Crown experience just himself. And, you know, what you want to do with during the wintertime with these derby horses, you want to get enough racing in them, but you also want to keep them happy and healthy. And in my opinion, New Orleans is the best place to do that. You mentioned the tactical speed and different things with him. Versatility, is that something that you can teach or is that just something he just has? It’s really nothing you can teach; they either have it or they don’t have it. For a big horse, he normally – he’s extremely quick out of the gate, he had always been from day one, and he just has the ability to put that big body in motion and do it quickly. And but he also has a great mind which then allows you to be able to get him to settle. Now in the Risen Star it was a bit difficult because they came out of the gate and Tyler had to put the gas, you know, the pedal to the metal because we didn’t want to get hung out. And so here you ask him to go and he takes off, and then you say well wait a second, I want you to stop too, you know, so I want you to slow down. But he handled it well. I thought it was a great experience for him. When we drew to the 13th hole, a lot of people said – I said to Gary Barber at the time, I said it’s good, it’s just another learning experience. If he’s as good as we think he is, then this is something he needs to learn and to learn to overcome. And, you know, I thought he handled it with flying colors. He certainly did. Mark, I appreciate your time, and I wish you the best of luck. And once again, ladies and gentlemen, if you have any additional questions at this time, please press star one. And we will go ahead with our next question from Tom Jicha of Horse Race Insider. Please go ahead. Hi Mark, how are you? This is kind of a related question to the last one. One of the things that’s been brought up already, and will be brought up more, is the six weeks from Saturday to the derby. What are your feelings about that? Ideally, honestly, it’s a little farther than normally I would like, but that’s the bad news. The good news is this horse is so easy to train and he does whatever you want him to do that we can easily adapt. And what I mean by that is you’ll see us if you notice that between these races, we haven’t done a lot of big works with him. We’ve done some, you know, average works for him. You’ll see us pick up the pace a little, we’ll put a couple stronger breezes into him. But I’m not worried at all, the six weeks is not going to be a problem. Big effort hopefully on Saturday and then we get ready for the biggest – we need the biggest effort of his career. But I feel confident in that he’ll be ready for it. Also, you know, this is the time of year when some trainers go looking for the John Velazquezs, the Javier Castellanos, you’re sticking with Tyler Gaffalione. Was that – can you explain the reasoning behind that? I mean I happen to like Gaffalione, that’s why I’m asking the question. Well, we personally, our feelings – Gary’s feeling and my feeling – is that he is – those guys you mentioned, they’re great riders, but he’s as good and great as they are. And I have not one bit of concern or there’s never been any thought at all to ever make a change. This – he may be young, but he’s got a mind of steel, and I am not worried one iota that he will give us a great effort. And he has the utmost confidence in the horse as well. And there are no further questions. At this time, I’d like to hand it back over to Ms Hughes. Actually, we do have another question. Are we able to take it? Oh yes, absolutely, go ahead. Perfect. They just came in. So Allan Carrasco[?] from TDM. Please go ahead. Thank you. How you doing, Mark? Good. We’ve seen in the past where horses like War of Will who’ve already earned their way into the field. So, you know, this is a race that you don’t absolutely have to squeeze the lemon dry. We’ve seen a horse like Monarchos was – just got enough out of the Wood Memorial that year to step him forward and he got [inaudible] that race to win the derby. How do you approach this? You know, it’s not a must-win, but do you ask for a top effort, or do try to sort of keep something in the tank for six weeks from now? No, we’re going to ask him – we’re going there to win. You know it is a big race, it’s $1 million, it’s a reputation to keep. Unlike the Monarchos that you talk about; I believe that was three weeks out, four weeks out, so you might want to leave a little something. We’re coming in fired up, ready to go. We have six weeks to recover, and we’re not going to – we’re not going in there thinking we’re going to get beat or we’re not worried. We’re going to be trying as hard as we can. Okay. There are no further questions. Mr. Hughes, you can go ahead. Thank you so much. Mark, before I let you go, I just wanted to ask you just a couple more questions. War of Will, not only is he three-for-three under but he’s also three-for-three, he’s being paired with Tyler who’s one of the great young riders in this country right now. What, if anything, about Tyler’s skill set that you feel has made him a good fit with War of Will? And how has he kind of helped him, you know, as he’s kind of developed and progressed? Well they seem to have a good relationship. Tyler has, like I said previously, he’s got just the utmost confidence in the horse. Tyler’s an extremely, extremely strong rider, and he uses his brain. He uses – he’s just – he’s got a great sense of riding for a young guy. And, I don’t know, they get along. It’s – they’re like peanut butter and jelly, so we’re quite happy to have him. And while we have you, I just wanted to also check in and see how Shamrock Rose came out of her run this past weekend. Obviously, she put in a huge effort behind, you know, two of the best [inaudible] in the country. How did you sort of assess her run and do you think that she might stay around to turn[?] to the future? I thought she ran really well. You know, what a race. I mean, three grade one winners – one, two, three – unfortunately, we were the third one of those three. But I thought she ran extremely well. I thought David gave her a great ride, she had every chance to win. I don’t think I want to mess with those two fillies again. So we’re going to – I do believe that she can get two turns, but maybe not at that caliber. So right now, I’m flirting with – and more than likely going to come back to where she started one of her – had some big success, and that’s Keeneland. Right now, I’m thinking about running her in the Madison. Well, we’re not going to certainly complain about having her in our backyard here in Lexington for the Keeneland meet. Mark, again, thank you so much for taking the time out, you know, to join us on this call. Like I said, continue, best of luck with everything. And like I said, hopefully, you have another great weekend on tap. Well, thank you. Thanks for having me. I believe we are currently right now trying to reach out to Bill Mott. Is that correct? Are we still trying to get connected to him? Yeah. I think if participants want to hang with us, we’re going to go ahead and just put some music on and put you all on hold. Again, sit tight, but we are going to be reaching out to Bill again to see if we can get him on. He, obviously, has one of the leading contenders in the Louisiana Derby coming up with Country House, who was second to War of Will in the Risen Star. And he’s got a pretty loaded contingent of three-year-olds this year, which is something we don’t always say with Bill as far as derby horses go. But everybody sit tight, hang in with us, and we will see if we can get the whole thing connected with all of us soon. Perfect. Thank you so much, Ms Hughes. Again, ladies and gentlemen, please stay on the line and we will be getting Mr. Mott online shortly. You will be listening to music until then. Thank you very much. Ladies and gentlemen, we are back online. I’d like to hand it over to Mr. Hughes. Thanks again. Bill, first and foremost, thank you so much for taking the time out to come on the call and speak with us today. Like I said, obviously, I’ll start off with Country House, you have for the Louisiana Derby this weekend. At the Risen Star he showed what looked like a little bit of greenness in this first year the way he kind of lugged in. How impressed were you with the way he was able to kind of – the way he was able to finish that day despite all of that? Well, he made a nice run, you know, like leaving the half mile pole. I mean, he picked his horses up. You know, he picked the field up very easily. You know, apart from the eventual winner, he got past everyone. And then, you know, he started lugging in before he was able to lap up on the eventual winner. But it was a good race. I think it was a big move forward from his maiden race. And I really can’t tell you what caused the, you know, the bearing in or the lugging in. But we’re hopeful that he’s not going to do it again. I mean, he hasn’t done it in his training. It hasn’t been something that we’ve had to deal with on a regular basis. That’s the only time I’ve seen it. You know, you’re one, obviously, you don’t take a horse to the derby unless they take you there, so to speak. And in addition to Country House, you have two other top contenders with Hidden Scroll and Tacitus. Has it surprised you at all how quickly this group has come into hand this year or did you have a feeling last year that you were sitting on some real potential for 2019? No, I think we’ve been pleasantly surprised. Since the first of the year, of course, if you take Tacitus and Country House, they were, you know, big, tall, rangy individuals. You know, good-sized horses that took a while to come around, horses that didn’t really show a lot, like in the middle of summer. Like in July, August time they were still kind of getting it together. And neither one of those two were horses that we would have even considered running like at the Saratoga meet. So, I mean, we sort of had them identified as horses that we would probably wait until September-October time, run them in – run them at Aqueduct or Belmont, you know, in the fall. And that’s the way it worked out for them. And it seems like as they got closer to racing, they started showing a little more. And then they, of course, they showed us some positive things in there in their first two races. Sounds good. Bill, we’ve got a fleet of participants who have been anxious to talk to you. So I will go ahead and throw it back to the Operator to see if we have any questions in the queue. Thank you so much. Ladies and gentlemen, if you would like to ask a question, please signal by pressing star one on your telephone keypad. And if you are using a speakerphone, please make sure your mute function is turned off to allow your signal to reach our equipment. Again, press star one to ask a question. And we will pause for just a moment to allow everyone an opportunity to signal for questions. And we will go ahead with our first question from Allan Carrasco from TDM. Please go ahead. Hey, thanks, Bill, for joining, I appreciate it. Looks like on Sunday that Country House worked with Yoshita. Is that right? And what was your assessment of the move? Well, they’re a very good team. They worked well together. You know, Country House tends to be a little bit of a lazy horse in his workouts. And we, you know, had – both horses were, of course, new to breeze – and I – and they breezed the week before and I thought they went very well together. It seems like Yoshida was able to kind of push Country House along a little bit and give him good company – and they were good company for each other. So, you know, I think they worked – one worked equally as well as the other one, and I was very pleased. Both are manageable, you know, neither one tried to run off in their work. And – but they, you know, were both good enough to finish up for, you know, for each other. They finished up well together and galloped out good together. And, as a follow-up to that, where will you be the week from Saturday? That’s a good question, I’m having a lot of trouble with that one right now. It’s kind of a difficult – that’s the 60-dollar question. I’d like to be in both places. I can’t. I’ve got a reservation to go to Dubai, and I would naturally love to be there. And also, you know, I’ve got a lot of work to do around here, so I can find a reason to be in both places. Right. And then this is a family that was fostered through the years by the Shields, going back to the third Dan, it was a family with plenty of turf in it, although, the second Dan produced a good dirt horse too, if you’re looking at Muggy[?]. Did you always view him as a horse that was going to be better on the dirt or do you think maybe he’s got any [inaudible] pedigree? You know, I didn’t know really. Because he had been very slow to come around and he was, you know, as I had said in June, July, August time, he really wasn’t showing a lot. I mean, his works were, you know, I mean, half miles and 50 very workman like kind of works but just, you know, nothing that really wowed you. And, you know, we knew he needed to go further. So first time we ran him, I put him on the turf just to get the distance and see a race on the grass, and it didn’t – that didn’t pan out very well. So I wheeled him back on the dirt and he ran very well. He ran second, and showed some run, and showed actually a lot of promise in that second race. Okay. Well, good luck this weekend. And whether you’re in Dubai or not, good luck in the desert. And, ladies and gentlemen, if you have any additional questions at this time, please press star one on your telephone keypad. And we’ll pause for just a moment. Thank you. And we will go ahead with our next question from Tom Jicha of Horse Race Insider. Please go ahead. Yeah. Hi Bill. About Hidden Scroll, you know, the general opinion is that he just went much too fast, too early in the Fountain of Youth. I know you’ve worked with him. Are you satisfied now that you can get him to at least harness that speed a little bit? I was never in doubt from the very beginning that you could harness his speed a little bit. I mean, he’s always been a very manageable horse, you can – you know, you can seem to be able to place him anywhere you want him. You can put him on the front or you could – you know, I see no reason why if there was a hot pace that you couldn’t, you know, take him back a little bit or you could put him up on the lead, but it just depends on whatever the pace is. The only thing is, like with any horse, you’ve got to – those decisions have to be made the first 1/16th of a mile out of the gate. So, you know, you can’t make the decision when you head down the back side. I mean, you’ve got to make that decision going into the first turn. So those are – you know, that’s a decision for the rider to make. I don’t think the trainer or anybody else can make that decision before, you know, before they leave the starting gate. Do you think the fact that he was just so extraordinary in that first start might have influenced the jockey to think, well, you know, he just might be that kind of horse so we can do this? Well, I guess that probably had something to do with it. But, you know, I think he got off a little bit slow that day, he took a little bit of a stumble leaving the gate. And, you know, if you’re looking back, that would have probably been a perfect time to put him in behind horses rather than let him run up to the lead. I mean, he was already – had three or four horses that probably broke just a little bit better than he did. And, you know, we kind of ran along with a 99-1 shot down the back side which, you know, is not a great position to be in. And what were your thoughts as that was happening? It looks like – you know, if we’re going to race in top caliber company, we’ve got to be able to make adjustments with the horse. I mean, we’ve got – you know, you’ve got to be able to make that adjustment. If there’s a crazy pace going on, you’ve got to be able to reign a little bit and save a little horse. So, you know, I think it’s evident right now that, you know, he can’t go in 22 and change, and 45 and change, and finish up the way you’d like him to. So he’s got a lot to learn. We’ve got a lot to learn. And we’re going into a race that’s only his third race. So we don’t – we certainly don’t know everything about him. I think it’s still going to be a little bit of a learning experience. I’m extremely high on the horse. I think he’s got a tremendous amount of ability. I think we’ve just got to, you know, make sure that we’re not unfair to him and do something that’s impossible for him to do. And we have no further questions on the phone lines. I’ll hand it back over to Ms Hughes. Thank you so much. Bill, before I’m going to let you go, just wanted to further jump ahead to next week with Yoshida we have pointed for the Dubai World Cup, obviously, a race that, you know, helped to win. How has he kind of progressed since his race in the Pegasus Turf and what sort of went into the thinking going ahead and take a swing at the World Cup with him? Well, the World Cup was always on our dance card since he ran in the Breeders’ Cup in November. We always had the intention to go to the Dubai World Cup with him. As you know, we only got beat by a length and three-quarters in the Breeders’ Cup Classic – a very good race. I think we were very encouraged by that. But then we, you know, when we went to the Pegasus we just, you know, we had a decision to make which race we were going to run in. And, of course, this horse has been very versatile as far as the surfaces that he runs on. And at that point in time, we thought that maybe the turf race was the most winnable race for us. Of course, we were proven wrong. But I don’t think we were deterred with our original plan of going to the World Cup with him. He’s had two dirt races; a win in the Woodward and a very close finish in the Breeders’ Cup Classic. So I think that’s where we’re going and hopefully, he’ll run back into form a week from Saturday. Sounds good. Well, Bill, I know things are busy for your right now. So, again, thank you so, so much for taking the time out and to come on and join our offer or call for this week. And continue, best of luck with everything. Thank you very much, okay. Thank you. And, ladies and gentlemen, that will do it for this NTRA national media teleconference. Thank you to all who hung in with us today, as we got everybody connected there. Just as a reminder, an audio file of this call will be up later today on NTRA.com and a transcript will be up there tomorrow. Once again, thank you to Tom Amoss, Mark Casse and Bill Mott for joining us. Thank you to all for participating. Please join us again next week, 22nd March, when we preview the Florida Derby and the Dubai World Cup. And now back to the Operator to wrap things up for us. Thank you very much. Ladies and gentlemen, this concludes today’s call. We thank you for your participation. You may now disconnect your lines, and have a wonderful day everyone. Thank you.